I love Canada Day - I'm not 'fiercely' proud, but definitely Canadian Proud to be in one of the greatest countries in the world (if not THE greatest). And +Krzysztof Głodowski just announced that a great way to spend that day would be to join him in the launch of Solid Explorer 2.0's release. I've been using the beta for some time and it's just awesome. 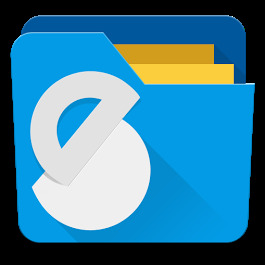 I've used the 1.0 version since it first started and is really my GO TO app that I use for any file management on my phone. If you've been part of the NeatBytes beta community for the Solid Explorer 2.0 beta, you'll have seen the invite for the final release. I know I'll be purchasing as soon as it's available. What about you? Have you been trying out the beta?